My name is Bill McDonald and I live in Milford, CT, married with three children and two grandchildren. I am an avid canoeist, amateur historian and retired newspaper reporter. When I learned about Pond being from Milford and how he used the canoe to shape North American history, I sought to learn as much as possible about him. This has included paddling the Clearwater River in Western Canada in 1988. Pond was the first white man to descend the Clearwater in 1778. 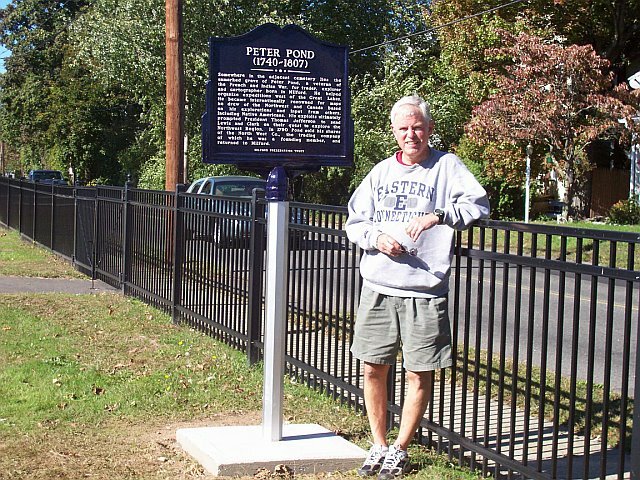 Milford, Connecticut is the hometown of Peter Pond. Fort McMurray, Alberta was discovered by him. You can order the books listed on this site on Amazon.com . This helps to defray the costs of running this site. Thank you for linking to Amazon through our site!